Thanks for the podcast and for asking my main question. I should asked whether Mueller was the right person to lead the investigation. He’s a close friend of Comey and was involved in questionable deals such as Uranium 1. He also auditioned to head the FBI again after Comey was fired and did not get the job. It’s very questionable to hire someone to investigate the person who rejected you for a position. Many people, including yours truly, think that the point of the Mueller investigation is to obstruct investigations of the crimes committed during the 2016 campaign (illegal unmasking, attempts to plant spies in the Trump campaign, FISA abuse etc). Clearly, many people in the Justice Department and the intelligence agencies don’t believe that elections should count if their candidate loses. I think that Ken Starr underestimates the anger felt by Trump supporters. We’ve seen huge miscarriages of justice such as the prosecution of Sen Stevens and Scooter Libby. The lesson being taught is that justice is corrupt and no one should cooperate with the authorities. Compare the kid gloves treatment HRC got with the mailed fist against Gen Flynn. I think that Ken Starr underestimates the anger felt by Trump supporters. Ken is very diplomatic is his languaging, which for some may diminish the impact of his words, but I found his observations on this issue spot on. ie: He refers to understanding the rights distrust of the Mueller probe due to how the investigation is stacked with Democrats. 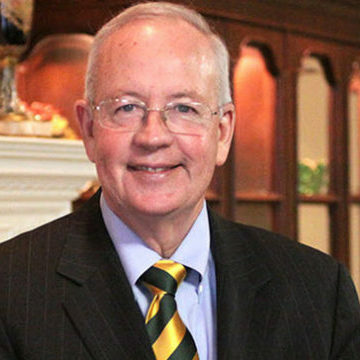 Ken Starr has been a U.S. circuit judge and U.S. solicitor general. He is the former president and chancellor of Baylor University. He also served as Independent Counsel in the 1990s.